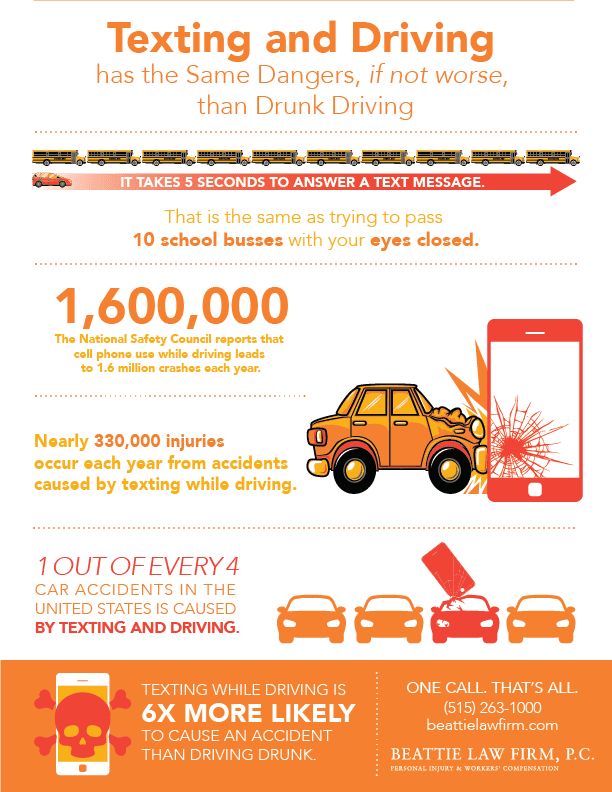 Texting and Driving Dangers: Infographic | BEATTIE LAW FIRM, P.C. We all know drunk driving is bad, but did you know texting and driving has the same dangers — if not worse — than drunk driving? Take a look at our infographic below. Update: July 1, 2017. On July 1, 2017 it became illegal to text and drive in Iowa. Once a secondary offense, officers may now issue a citation if texting and driving is observed.